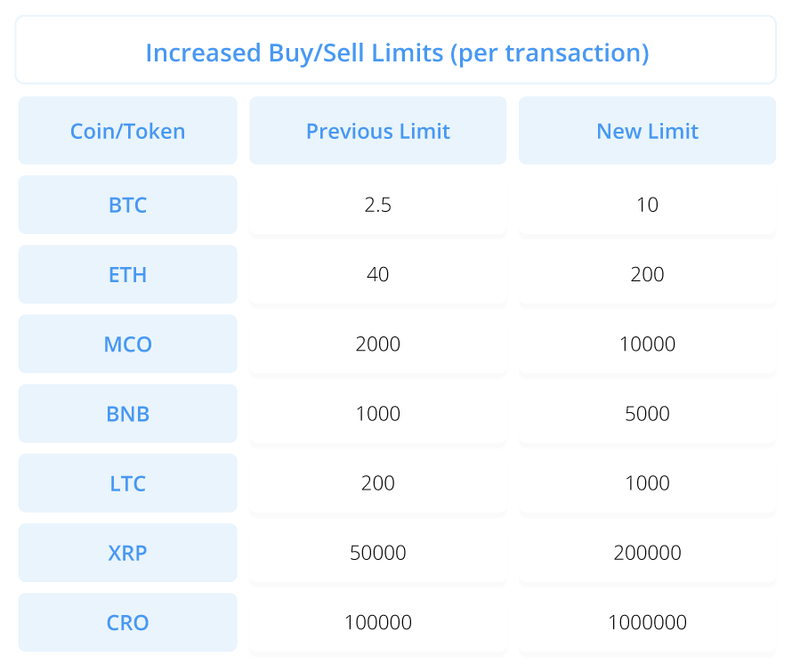 * For those with a successful crypto purchase older than 90 days, purchase limits will be increased to $9000 USD/ week. Automated Withdrawals: XRP, ETH and ERC 20 Tokens (BNB, MCO, and CRO) now offer automated withdrawals. These cryptos have been migrated to our new token infrastructure. BTC will be next followed by LTC. Card Upgrade Path: As we have been focusing on getting cards out, we have yet to build the card upgrade function into the app. 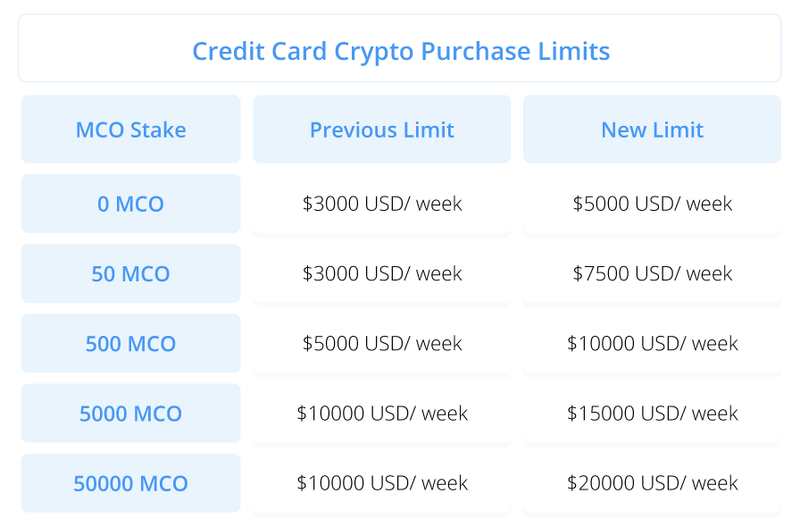 We would prefer users to select the card prior to shipment (we still offer an upgrade option up until this point). For those seeking to upgrade after they receive their card, we will need to cancel the existing card and issue a new one. This will incur the card reissuing fee of approximately USD 50 (based on market). We expect this process and feature to be completed and available by the end of Q1, 2019.